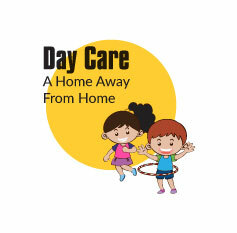 Kids Castle Pre School-Play School in Bangalore,Preschools in Bangalore,Best/Top 10 Day Care Centers in Bangalore,India. Enquire now for admission We will get back to you within 24 hours. Welcome to Kids Castle Pre-School, the most loving pre-school. At Kids Castle our aim is to make every day a learning day, filled with new and wonderful experiences to help young learners find what interests and inspires them. 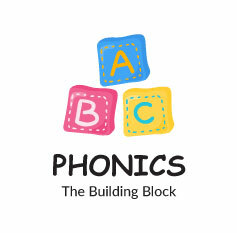 Phonics is a concept wherein a child rather than learning a complete word, learns the sound of the alphabet first. Once a child is familiar with the sound of the alphabet it becomes easier for the child to read and speak a complete word. A good understanding of phonics ensures a more confident speaking and reading of words. At Kids Castle Preschool phonics are introduced right from playgroup and children continue to explore the world of phonics till they complete UKG. Kids Castle Preschool follows a comprehensive phonics program from playgroup to UKG. Month over month a child learns a new sound of an alphabet and they progress to 2-letter phonic sound, vowels, consonants and blends. A proper phonics program at Kids Castle Preschool ensures fluency in speaking and supports the child in speaking any newly introduced word easily. Mathematics is the first step towards logical thinking and application. 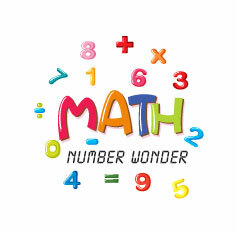 Learning mathematical concepts has always been a priority for children and the sooner they catch up with numbers, the better would be their analytical abilities. 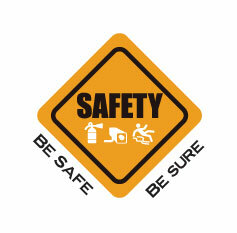 We completely understand that the safety and security of children is a prime requirement at any preschool. Parents handover their children with a lot of thought and apprehension hence at Kids Castle Preschool we are proud to set up our schools in the safest manner possible. Soft flooring and carpeting across the school. Fire extinguisher and fire exits. Beaded and smoothened wall skirting in all schools. Non-edgy and smoothened school furniture and play equipment. Carpeted and netted stair cases. ID Cards based pick up and drops. A well set up safe preschool gives ample opportunity to a child to have a better and unhindered preschool experience. For success of any preschool health of children and hygiene at the school are of key prominence. 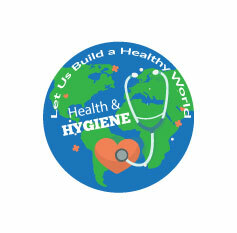 A hygienic atmosphere at the school supports healthy children and healthy children support the success of a school. Regular cleaning during the day. Once in a month pest control. Tissue dispensers in common areas. Regular nails and lice check-up. Usage of gloves during lunch time. Our aim is to create an environment that nourishes the healthy living of all our preschoolers. The Montessori Method of education is a child-centred education approach based on scientific observations of children from birth to adulthood. The Montessori Method provides a range of materials to stimulate a child’s interest through self-directed activity. Additionally, Sensorial activities assist in organizing, integrating and learning about their sensory input. Sensorial materials include Knobbed Cylinders for practice with dimension, Color Tablets, tactile exercises like Rough and Smooth, Musical Equipment, Sorting and Shapes. Rhyme Time is a poetic technique in which children notice and work with sounds of words. It also serves as a powerful mnemonic device, facilitating memorization. 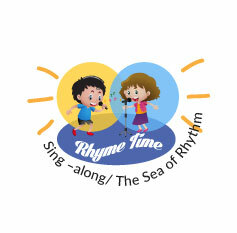 Communication Abilities: At Kids Castle Preschool, we believe that Rhyme and Dance Time are separate skills. By solely focusing on singing rhymes and songs helps children develop their language and communication skills form an early age. Social Skills: Children from the age of two years learn to sing rhymes on stage which helps eliminate stage fear and apprehension of public speaking. Physical Development: Performing actions while singing rhymes helps children build motor skills while allowing them to practice self-expression as well. Kids Castle Preschool believes that Yoga increases coordination, improves concentration, encourages a calmer mind, alleviates stress, promotes self-expression, as well as it inculcates discipline and healthy habits. At Kids Castle Preschool we conduct yoga sessions with a weekly timetable of activities, offering services of a quality professional and experienced yoga instructor. Through playful movement, cheerful songs, and having fun with breathing, our toddler class stimulates the imagination of young children. 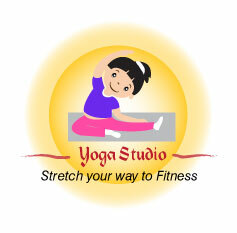 With basic asana sessions are filled with engaging yoga games to strengthen bodies and build social skills. Children also learn the power of breath for focus and relaxation to provide a healthy foundation during their elementary school years. Pre-schoolers are always learning. Children will remember an important day only if they are told what the occasion signifies, making them aware of the world in a more fun way. The various celebrations and events at the school are designed to foster connections amongst the school community members and also with the external community members which guides us towards the larger interest of national development of good education. Apart from major events, Kids Castle Preschool children engage in a variety of celebrations throughout the year that help them build cultural and social values, while instilling a sense of togetherness. Story telling is of utmost significance as it introduces a child to sounds, words and languages and develops early literacy skills. 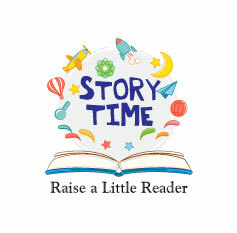 At Kids Castle Preschool we incorporate story time in our main curriculum from our playgroup onwards. From lower kindergarten (LKG) onwards we encourage role plays and enactment of stories which aids the development of communication skills. Magical stories spark a child’s imagination as well as shape thoughtful readers and develop expressive tellers. Furthermore, we have a specialized Library Corner that encourages storytelling and reading amongst children. 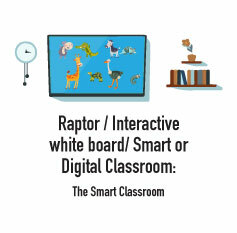 Smart Board technology in the classroom enriches the curriculum by taking a typical lesson and turning it into a fun, more interactive one. Leveraging the latest technology provides children at Kids Castle the following benefits. The ability to be interactive as well as a learn while being fully engaged. With this equipment we create an exciting learning environment which attracts the children’s attention of all ages. Concepts help a child to understand direction, location, position, number, quantity, sequence, attributes, dimension, size and similarities and differences. We at Kids Castle Preschool understand it is crucial for children to have a good understanding of different concepts as it assists in their ability to follow instructions and be specific in what they are talking about. In order for a child to use concepts in their spoken language, they first need to have a good understanding about what these concepts are and what they mean. 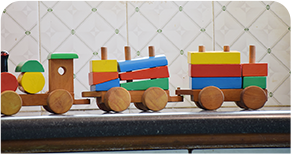 Art & Craft is the skill of creatively making objects by hand for decoration and practical uses, which plays a vital part in ensuring that the child is well rounded in creative development. 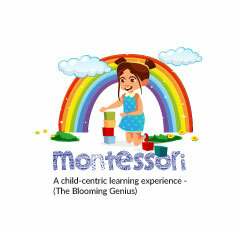 It develops the child’s feeling, thinking and coordination skills and aids them to generate creative ideas. Fine motor skills also get enhanced while performing Art & Craft activities. At Kids Castle Preschool we have a separate DIY (Do It Yourself) Art & Craft Corner with various attractive materials, where the child is allowed to use their own creativity to build or create objects by their own free will. Additionally, on special days or events children are required to prepare their own thematic worksheet or craft which they carry home as a take away. These activities enables in enhancing a child’s sensory and perception skills. Kids Castle Preschool has an elaborate and unique concept of having educative workshops specially designed for children of various age groups as well as for parents so as to increase awareness in various walks of life. Many topics related to different aspects of social and cultural subjects are highlighted through workshops to empower parents and children with valuable information. Every Wednesday Kids Castle Preschool provides a “Good Learning Day” whereby a topic related to High Morals is taught to the children in a group forum and Mondays are dedicated to “Hygiene Day” whereby awareness of personal hygiene is imparted to the children. We also provide awareness through conducting workshops on “Good Touch & Bad Touch”, “Swachh Bharat”, “Go Green – the three R’s - reduce, reuse and recycle” etc. Enabling field trips for children to various places like parks and gardens, banks, libraries, super markets etc. to provide an experience of the practical world. As we all are aware, Sports plays a great role in our life and especially for children at the early stages of learning as it helps them to stay healthy and active. Sports also assist in physical development to build the height, weight as well as mental alertness. A healthy mind is only possible when one has a healthy body. Sports is an integral part of the curriculum at Kids Castle Preschool, as this develops the child’s mental alertness, team spirit, learning skills, self-esteem, besides giving enjoyment and relaxation to the child. All these games enhance the social skills of the children like taking turns to wait patiently, learning to adjust, being supportive with other players and accepting losses graciously, inculcating the importance of “team spirit” which is required for any team work. These Sports activities at Kids Castle cultivate the fine and gross motor skills through various games as both small and large muscles in different parts of the child’s body are involved. Having good manners and respect are absolutely necessary and are a vital attribute for living harmoniously. Good manners are a part of our core values and hence must be inculcated early in life. 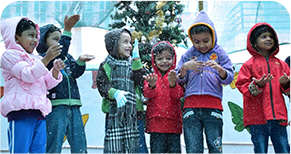 At Kids Castle Preschool we ensure that all days are Good Manner days. On Wednesday’s we plan special activities through which teachers explain the importance of positive and noble behaviour .Teachers at Kids Castle Preschool introduce various Stories and Role Plays which directly and indirectly inculcate empathy, appreciation and a positive attitude. Saying “Please”, “Thank You” and “Sorry “. To smile and be happy – the utmost basic requirement. Wishing “Good Morning”, “Good Afternoon”, “Good Night “. Field trips provide children with additional learning opportunities and an experience outside the classroom. At Kids Castle Preschool, we believe that young minds should constantly be exposed to travel to boost and enrich their developing brains. It provides a child with hands on learning experience as they come directly into the contact of nature. Travelling also gives them opportunities to socialize with each other and understand that learning is a fun filled activity. Here at Kids Castle Preschool we are committed to a theme based curriculum since inception. Based on the monthly theme Each students participate in activities and various trips that we conduct. Stage & Mike activity is a concept for enhancing communication and social skills of the child, as well as for helping the child to overcome basic shyness and stage fear. This session boosts confidence of children especially in a group environment which helps them to learn the skills they will need to interact with their peers and parents. At Kids Castle Preschool we introduce various activities through the medium of “Stage & Mike”, for example – rhymes recitation, story enactments, role playing etc. This learning tool is devised to give an opportunity to develop oratory and recitation skills and to provide a platform for the child’s confidence building which is an integral part of “Early Learning”. It encourages the child to express oneself and helps in Language Development. 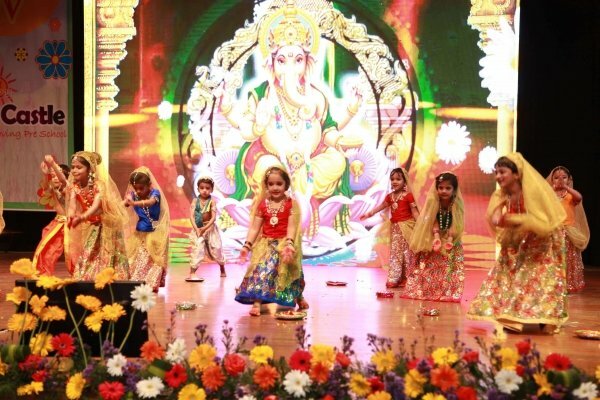 It inculcates the habit of not just being the performer but also being a good audience and observer, thus giving an opportunity to all children to learn the various facets of “Participative Communication” skills. We at Kids Castle Preschool ensure that we enable parent’s presence while the child participates and performs in these activities on stage through different events that are organized periodically. The Nursery Teachers Training (NTT) course by Kids Castle Preschool offers a platform for aspiring and professional nursery teachers to aid in the process of child centric learning and to understand the latest approaches and methods of planned teaching through fun ways. Diploma in NTT is perfectly designed to instil systematic teaching practices, creative techniques and captivating classroom activities and helps to develop efficient teachers with required skills. The course includes both theoretical and practical aspects of preschool education, which every teacher should be well acquainted with. Successful completion of this Diploma course provides ample job prospects and prepares the teacher for classroom challenges. 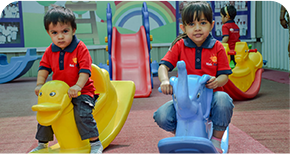 Kids Castle Preschool Nursery Teacher Training Institute is affiliated to All India Early Childhood Care and Education, New Delhi. A.I.E.C.C.E. 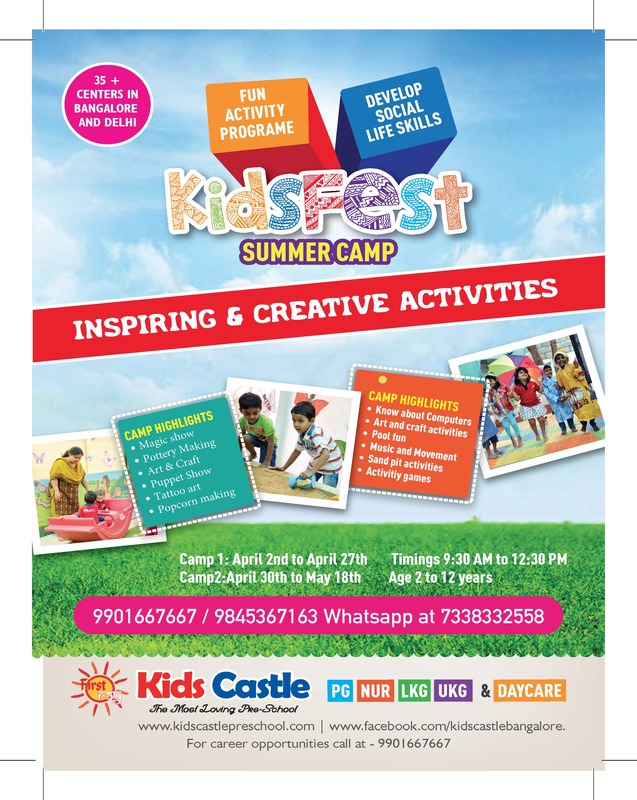 Kids Castle Preschool aims to connect with parents as the session begins and introduces themselves by sharing their vision towards the grooming of child as well as establishing strong communication with the parents on periodical basis. For better understanding, parents are welcome to Kids Castle Preschool to get an update on implementation of syllabus, methodology of teaching, child progress, feedback and suggestion towards child’s grooming. Orientation and Introduction Programme – In the beginning of session or once admission is done, Kids Castle arranges an Orientation Programme to understand the process of school and settling period in a better manner. 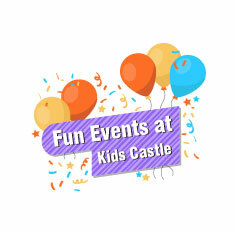 PTM – Kids Castle Preschool arranges 4 Parent Teacher Meetings (PTM) annually for all age groups. 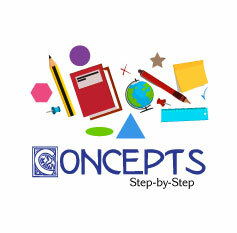 Evaluation of child’s writing, oral, reading, recognition, arts, communication, sensory, motor skills etc. are presented through a “Report Card” to the parents for better understanding of how the child is faring. Show casing the child’s performance through notebooks, work sheets, videos, internal observations, day to day logs.. At the same time, we accept positively the feedbacks and suggestions from the parents. Exhibitions – Kids Castle gives the children a platform of exhibitions whereby the child gets an opportunity to show case what all they have learnt and apply their ideas to present things in their own unique way. It also gives parents an opportunity to witness various activities showcased under the exhibition. thanks for the wonderful coaching and monitoring provided by the kids castle team. pranav has improved a lot.curriculum is pretty good and he is able to pick so many things and activities very quickly.support staff is also very good and they are taking good care of all the children. special thanks to his class teachers who are working very hard on all the kids to reach next level. It is first PTM for us and the experience is really amazing. We are happy to see the other side of our kid in the school through the video. Thanks for capturing it. Moreover, we can see the difference in our kids behaviour after he started going to school. Thanks again for grooming our kid. My child was little shy before coming to Kids Castle, after joining Kids Castle he has opened up. He loves coming to school and likes his teacher. He has become more active after joining Kids Castle. Looking forward for his activities and improvements in the coming days. I am thankful to all the teaching and non-teaching staff of Kids Castle. Harel is very happy to come to school. He loves his mam and speaks highly of her. He is found to be happy with his studies and homework. We are happy with his performance both study wise and interpersonal skills. Thank you team Kids Castle for making the environment welcoming for him. Great improvement seen in Gitanshi in terms of English speaking, reading rhymes and doing activities. Continue the same. Very good experience. Thanks to all the teachers and staff for taking good care of her. School has supported us to settle Ahana. Staff is very good. Ahana has learned very quickly rhymes and alphabets. Class teacher also very good in support to kids. Thank you for all the effort and support given to Surya. He seems to be happy with school, likes the atmosphere and not under any pressure. He seems to be learning effortlessly. Thank you again and best in all your future endear ours. We are very happy with our child's progress and the way she has been taken care.Wonderful transformation.We are very thankful for the entire staff(techers,housekeeping) and all the staff as well the centre head.Thanks a lot. It has been a great experience for Amelia by being a part of Kids Castle.She has learned much and also improved a lot in her communication skills.She is interacting much better with the kids and elders.Would like to thank the teachers and staff who work hard to make her pre-school days such an enjoyable one. Kavishree started learning Hindi with lot of interest.We are seeing her improvement in her Learning,Writing and Speaking.Thanx for the care and attention being taken by Kids Csatle school on her. My daughter is very happy to come to school.Teacher’s are taking care very nicely.The way of teaching is very good not only teaching Extra General Awareness also my daughter is learningand understanding.Thank You very much for all teacher’s and staff. I am extremely happy the way Alisha is learning new things at Kids Castle. As a parent my utmost priority is Alisha's safety and I must say, I am very happy the way Deepti mam and Swati mam takes personal interest in taking care of her. Thank you team Kids Castle for helping me out shaping my daughters future. Aaradhya has improved a lot in her writing part. I was a little worried about whether she will be able to cope up or not. Good she showed improvement. The video that I saw was really nice. I appreciate the class teacher and other staff members who guide the kids so well to improve the basics. I would like to thank all of them. Big thanks for all the improvement in my kid. His oral skills as well as his writing ability has improved. He is always enthusiastic to come to school and loves the time spent. We are very much satisfied with his growth at Kids Castle. He is making good relations at school and his mental abilities have improved. Thank you very much for making my kid what he is today. Appreciate the class Teacher Sunita Madam for having the patient to teach the child and make them to do the activity in class hour. The school has been too good as my son has become proactive in day to day life. Thanks to kids castle staff & appreciate all the activities they do at School. Overall feedback is good. After started schooling we found lot of changes in Kashyap, we feel happy once he reached home,he is able to recite poems and wants to write on paper. Thanks so much to Shanti & Jyoti Madam for making my child so happy in School. Thank you so much for their patience and the way treating kids is awesome. Thaks you so much Kids Castle team. The new curriculam is very good children are interactive with their studies,specially new activities like dance and sports are very enjoying for students. Kids are become really active and want to come to school. New parent kits is very useful for us. Hats off Kids castle Team. "At first he was not even interested to come to school. Now he just loves to come to school.He has started to recognize alphabets, numbers, shapes and colours. Thanks to all the teachers and helpers to help Adrij in every way and to love him to that extent that he loves his school very much." "School is nearby and very friendly staff and teachers. My son loves school and has adapted well to the place. He has started talking more and speech has improved. Thanks to Hamsa mam and Aishwarya mam for all the efforts and love." we are happy with various activities done by the school.The staff maembers and teachers are very good. Interactions with Class teacher is very comfortable and convenient for us.passing information in correct time is very helpful for us to cope up with the school curriculum. The improvement of my child is excellent now he have learned lot of things after coming to kidscastle school.His apperances and expressive have changed he is very good.Teachers are friendly and teaching in entertaining way.curriculum and activities are good. Happy to see the activities done at school like Art work ,Craft work etc.,Soft spoken and good inputs from the teachers end. They are very friendly,understand the nature of evey child and train accordingly.This gives parents confidence & positive feeling we are happy to have chosen Kids Castle as the school for ou kid.